I just finished reading Mark Pilkington’s recent book, Mirage Men: An Adventure into Paranoia, Espionage, Psychological Warfare, and UFOs. Nick Redfern called the book “one of the most important UFO-themed books you’ll ever read . 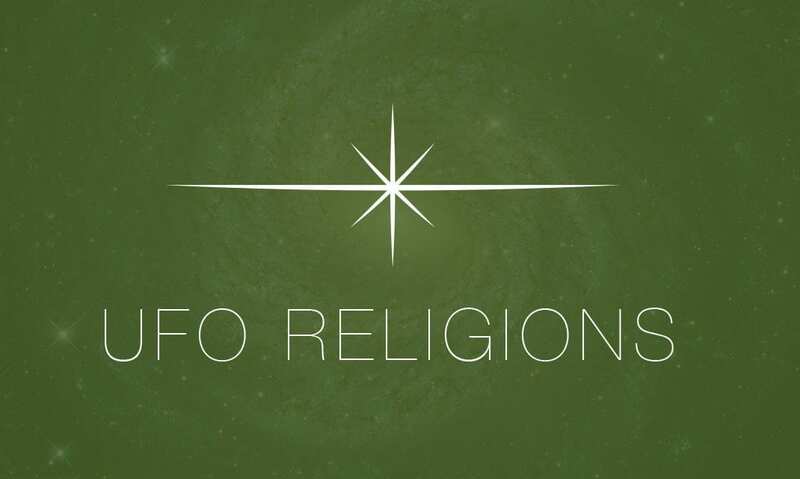 . . Those for whom Ufology is a modern-day religion, and one that offers a form of cosmic comfort, will be shocked, angered and perhaps even disillusioned by what they read” I think he’s right on both counts, and I hope you can see why I’d say that by the end of this short review. Mirage Men is Pilkington’s chronicle of his (along with his friend, John Lundberg) his personal search of the truth about the UFOs. Readers get to vicariously experience his quest as he treks along both an intellectual roadmap of famous (and infamous) UFO episodes and a literal road trip to various locales, including the annual International UFO Convention at Laughlin, Nevada. It is at the IUFO Convention that they encounter the notorious Richard Doty, a Rasputin-like figure known to all those whose interest in UFOs transcends the casual. Conversations and musings about Doty and his duplicitous career exploits are a central focus of the book and no doubt the content of its sub-title (“Paranoia, Espionage, Psychological Warfare”). While readers would learn a good deal about how significant UFO events might be parsed sans aliens, the material concerning people like Doty is worth the price of the book. There is a good deal of space devoted to explaining, in clear and coherent detail, how the ufological research community has been, as Redfern puts it, “well and truly played” for suckers. Pilkington skillfully describes how government, military, and intelligence insiders staged UFO events, deliberately manufactured and strategically spread disinformation to keep the alien UFO mythos moving along pre-conceived trajectories. The goal was (and still is) misdirection so as to keep exotic military technology a secret. Readers familiar with Greg Bishop’s important book, Project BETA, which details how such insiders literally drove Dr. Paul Bennewitz insane with disinformation will recognize the techniques. They may be surprised, however, to learn that these techniques were used on contactees and researchers. That truth is an important message in the book. Despite these tragic histories and direct contact with some of the perpetrators — or perhaps because of all that — at the end Pilkington and his colleague are not inclined to just jettison the whole alien idea. Rather, they confess to being seduced by cryptic comments made by certain of the individuals they meet. But just because some people appear more trustworthy than Doty does not make them so. And even if they are, what readers will discern as they traverse through the last quarter of the book is that these individuals offer no real evidence. Rather, they are just easier to believe. Their believability, however, is neither positive evidence for an alien hypothesis, nor is it negative evidence to refute Pilkington’s suspicions about the ongoing nature of deliberate duping of those who research UFOs. Frankly, I can scarcely believe that, after reading this book and Bishop’s Project BETA, anyone can thoughtfully entertain the alien hypothesis for UFOs. I know people want to embrace it for emotional or spiritual reasons, but it feels logic-defying to double-down on the alien view when there is so much evidence that indicates it is a myth constructed by real “mirage men” who wield it so expertly at the expense of so many. In other words, how is it that, in the face of the very demonstrable espionage and psychological warfare that feeds off and propels the belief that UFOs are alien craft, can someone believe that such deception is not a deception? At the very least, people who think carefully should be approaching the alien UFO narrative with a hermeneutic of suspicion. This doesn’t make sense to me, because if the insider community (e.g., Doty) wants to keep the alien myth alive, that would suggest they don’t mind such a transformation. If they wanted to kill it in the name of preserving their status quo, keeping the alien carrot dangling before the UFO research community is an inept way to do so. On the part of some, the ability to rewire the collective mindset of the populace is precisely the goal, not something feared. The fact that some in the intelligence community work so hard to perpetuate the alien mythology suggests that they want to be in control of the rewiring, not an opposing force to it. But rewired for what? I would suggest that the goal is the rewiring of humanity in the direction of transhumanism  the upward trajectory of human evolution to be more than human, or to be as gods. So what good (or harm) is that? It is part of a fascist impulse. One of the repeating tenets of human fascism is the need to build collective consciousness. Fascism is all about creating two classes: the ruling elite and everyone else. The task of the ruling elite is made easier when everyone else is philosophically fixated on the collective and whats good for that collective. If the masses are single-minded, they are easier to control, in that they are willing to go along with what the ruling elite demands  its for a common purpose, and a purpose that is deemed good for the most people, the collective. So obedience to the elite is good for all of us. Modern humanity, though, is thoroughly fragmentedby race, religion, gender, social classes, economics, etc. Fascism seeks to create its own coordinated solutions to all these problems of fragmentation, not because of human altruism, but for the sake of making control more cohesive. This is why, when the fascist impulse began in modern Europe after democratic aristocratic forms of government replaced antiquated ideas like the divine right of kings and its monarchies, fascism struggled to become the dominant political force  people were not willing to set aside their nationalistic boundaries. The solution was national socialisms that fomented revolutions  different forms of socialist fascism operating within nationalistic boundaries. But the goal now is GLOBAL fascism, a fascism that transcends boundaries. That will only work with an intellectual transition beyond national borders and language. The world is moving this way, through forces like the global economy and the internet. But so much fragmentation still exists. I would suggest that one idea  and perhaps it is THE idea  that would move people to become a more integrated collective would be if our minds were rewired to define ourselves as ONE species, the human species. If the masses were convinced that ET life is real, that idea would be a major impetus toward rewiring the human mindset. And if that ET life (even if it were never present) were tied to world religions and human evolution, the impact would be all the more powerful. Even more useful than that would be a replacement of human belief systems with one governed by the alien myth. All the elements that fragment humanity would be brought into one collective, coherent mindset. I believe, therefore, that some factions within the insider community see the alien myth as a useful catalyst for this global governance. It is a long term strategy but with a comprehensive pay-off. Other parts of the insider community have more short-sighted goals in mind by perpetuating the alien myth. The most familiar would be that of the military industrial complex (itself a fascist necessity) using the myth to cover its own experimental craft. But the strategy is also useful for protecting funding interests for any black project that is under favor. Others in the insider community simply want to be viewed as the controllers of information, regardless of what the issue is. Holding that position allows one to manipulate people or groups of people with more ease, since it would be fateful to doubt the word of the one in the know. This enables the furthering of an agenda as small as ones own or that of ones superiors. At any rate, the idea that the UFO reality will be a liberating force seems hollow to me. Any truth that comes down the pike in this regard will be mediated by someone, and it will never lose its opacity, and so I dont see it as liberating anyone  save for the one dispensing that truth to control those who receive it. The Rutherford Institute . . . And UFOs and Aliens? !